Complete steering box rebuild kit. These are all high quality parts. 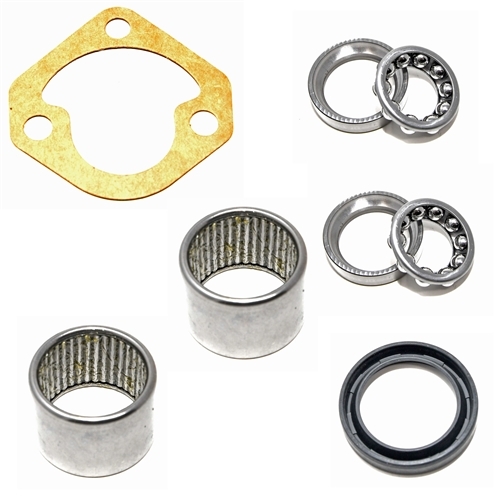 Do not confuse these with kits that use lower quality bearings. We use this kit to rebuild steering boxes in all of our high end Shelby restorations.